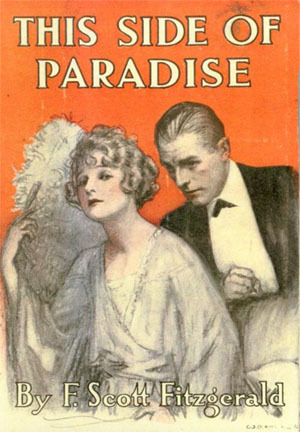 This Side of Paradise was F. Scott Fitsgerald’s debut novel (published in 1920). Its publication famously helped Fitzgerald gain Zelda Sayre’s hand in marriage because he was convinced he could win her back if he became a published novelist. It must have worked, since they married just 8 days after the novel’s first printing. The initial print run of 3,000 copies sold out in three days. I’ve read and enjoyed Fitzgerald’s most famous work, The Great Gatsby and his unfinished novel The Last Tycoon, so I was eager to read this one. I didn’t enjoy This Side of Paradise nearly as much as I did the other two, though I did find the style interesting. The novel opens with “Book One: The Romantic Egoist” and is told in a rambling style that sometimes features isolated vignettes (almost like inset short stories) and other times flows from chapter to chapter more like a traditional novel. The middle interlude is composed entirely to two letters. “Book Two: The Education of Personage” is written as a play in several sections, then switches back to more traditional prose. I probably would have enjoyed This Side of Paradise more if I were reading it for a class where we’d discuss the book, but reading it by myself I found my thoughts wandering quite a bit. I didn’t particularly like any of the characters, which is fine if you’re mostly reading to engage with the ideas the author is writing about but without someone around to discuss the book with it just felt like a bit of a let-down. I also don’t think the plot aged as well as The Great Gatsby, which is very accessible to modern readers even though it’s set during Prohibition. 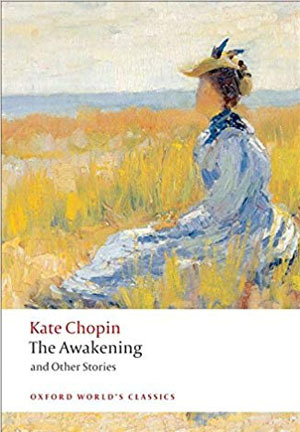 I read one of Kate Chopin’s short stories, “Desiree’s Baby,” for a class back in college and I heard about The Awakening then. I didn’t originally have it on my Classics Club list. I only added it now because I wanted to check-out the literary style as research for a short story I’m editing. And since it’s a classic I decided to count it toward the 50 books on my list. I can’t exactly say I liked the book, but I do admire and enjoy Chopin’s writing style. The ways she uses words is lovely, sensuous, and evocative. In many ways, it paired well with This Side of Paradise as books to read back-to-back. Both main characters are discovering themselves and their true natures, and one way they do that is through a series of romances. Amory had a much happier ending than Edna, but the similarities are still there. I wonder if perhaps Edna might have not met such a tragic end if she’d had the opportunity, like Amory, to explore different aspects of her personality at a younger age and before her marriage. Those few decades between the end of the Victorian era in The Awakening and the early 20th century of This Side of Paradise made a huge difference in what was and was not acceptable behavior for young men and women.